What kind of legacy for tomorrow are you creating today? When the next generation looks back on your life, how will they remember you? Creating a Legacy will guide you on your journey toward noble character motivated by a clear calling. You’ll look back on where you came from and see how God made you who you are. You’ll look to His Word to find out where you should be going and who you’re becoming. You’ll take positive steps toward overcoming obstacles and avoiding tragic falls. You’ll also discover how your life can become a legacy for the benefit of those who come after you. 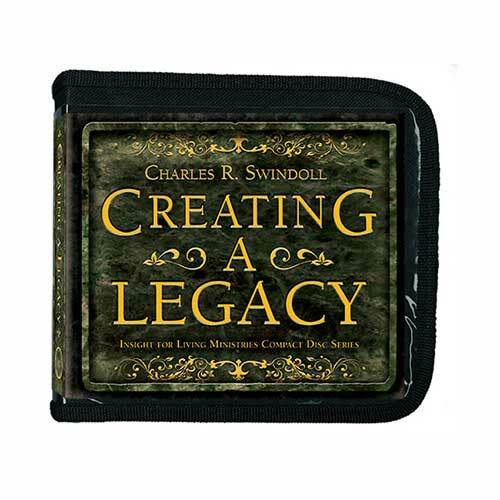 Copyright © 2004, ℗ 2014 by Charles R. Swindoll, Inc. All rights are reserved worldwide.